Dubucand sculpted quite a few dog breeds during his career and one of the more unusual ones is this small model of a Bull and Terrier cross which is a fore bearer of the Bull Terrier. Rat catching contests were popular in the early 1800s and the dogs used for this needed to be quick and agile, yet with a hard bite and having the determination to keep after the rats even while suffering from many rat bites. Money was wagered on this sport and it was a hard life for the dogs and many died from infected bites. 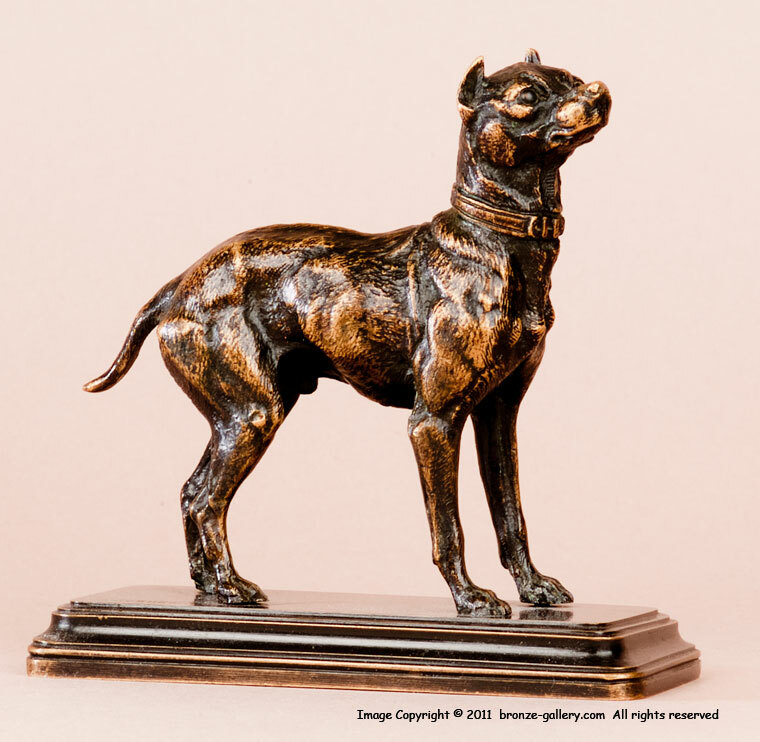 Terriers were crossed with Bulldogs of the time to get a small tough dog that could quickly catch rats and take the pain of their bites. These Bull and Terrier crosses were good working dogs and Dubucand sculpted two of them, one more Bulldog looking and one more Terrier looking. 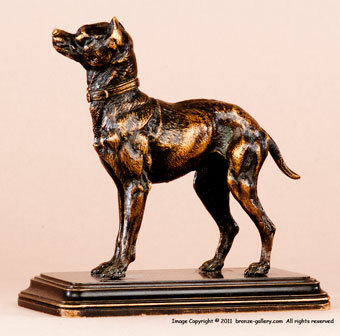 This bronze is the Terrier type, it has good detail showing the muscles of the dog and his powerful build, with a rich brown patina.